Osteoporosis is painful condition that makes the bones more fragile, and likely to break, according to the NHS. It develops very slowly over a number of years, and is often only diagnosed after a fall or bone fracture. People with osteoporosis are more likely to have wrist fractures, vertebrae fractures, and hip fractures than other people. Camilla Parker-Bowles, 71, warned the public that certain ‘fad’ diets may be depriving them of calcium. 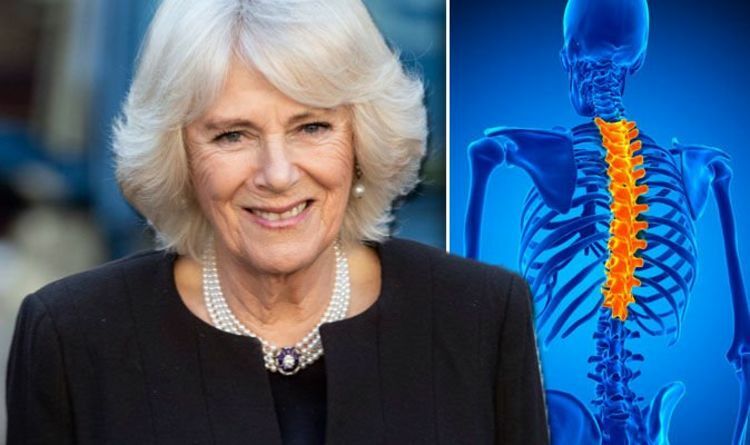 Diet plans that include cutting out dairy and other minerals could be bad for your health, warned The Duchess of Cornwall. Calcium, which is found in dairy foods, is a key mineral that’s essential for life. It helps to keep bones healthy. Camilla’s warning came after her mother died from osteoporosis 25 years ago, she said. She urged children to avoid “ridiculous” diet plans while speaking at the Science Museum yesterday, at the launch of the newly-labelled Royal Osteoporosis Society. “It was 25 years ago that my mother died as a result of osteoporosis,” she said. “In fact, she was exactly the same age as I am now. Common fad diets are depriving people of the calcium they need to keep their bodies healthy, she added. “It’s the fad diets, they are the worst thing to do,” she told the Daily Mail. “You are depriving your bones of calcium. “It is this ridiculous dieting, cutting out dairy and all the things that are good for your bones. It’s crucial to encourage young people to start exercising to boost their overall health, she added. Osteoporosis is more likely to affect women than men, due to hormone changes during the menopause, said the NHS. But, you’re also more at risk of the condition if you have a family history of osteoporosis, a body mass index of 19 or less, or have long periods of inactivity. You could lower your risk of osteoporosis symptoms buy doing regular exercise, it added. It’s also important to eat a healthy, balanced diet, and to make sure you’re topped up on vitamin D.